Is embracing multiple web video conferencing platforms a fact of life? Hello IT and AV Pros! 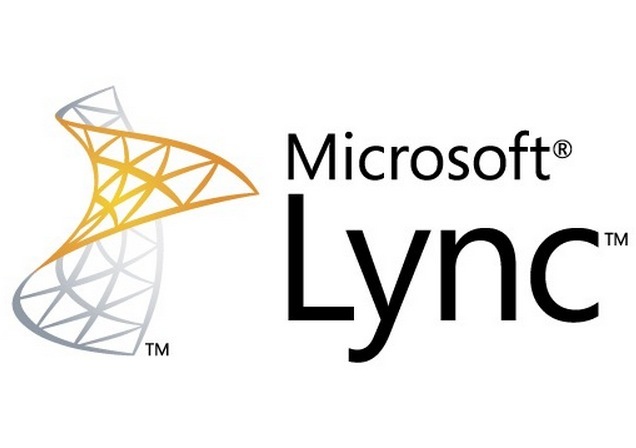 I have lost count of how many clients have told me they use Microsoft Lync AND another service. Cisco Jabber AND couple others. It seems like organizations are always using multiple web video conferencing solutions in different ways. A popular combination we have found is GoToMeeting and Skype OR Microsoft Lync and WebEX. There are so many different and unique web video conferencing services out there that it seems like organizations are choosing to use multiple services Click Here to read a Gartner Study about market trends on "new entrants that often conflict with established service providers". Whether or not buisness leaders are trying to use the best from each service or simply test un-traveled waters is beyond me. But the web video conferencing software providers who are making it must admit heavy video conferencing users use multiple platforms on a regular basis. For example, a huge number of organizations are using Microsoft Lync for their internal video conferencing accompanied with a more "cloud friendly" service like GoToMeeting, WebEX or Zoom.US. It was this type of video conferencing experience that inspired the creation of our latest "Lync Meeting Room Control Software" product which integrates with native SDK's within Microsoft Lync (Skype for Business) and a unlimited amount of third party web conferencing software API's including Office 365. It's worth noting that Bluejeans got this market right from the begining and made a business on providing interoperability features for companies that simply wanted the best flexibility options no matter the cost. But I think the majority of companies use a mix of different services by choice. I think they choose the services that reach out to them the most. A friend of mine from Citrix warmly referred to this "fact of life" as "Cross-Polination". GoToMeeting uses the same USB webcam technology as Skype does over at Microsoft. And Citrix would know a thing or two about the web conferencing market holding on to the big #2 "soft codec" position with GoToMeeting, second only to Skype, the #1 soft codec now also known as "Skype for Business." Check out our slideshare demonstrating the software we feel is an ideal interface for organizations that are using Microsoft Lync coupled with another software like GoToMeeting, WebEX or Zoom.US. 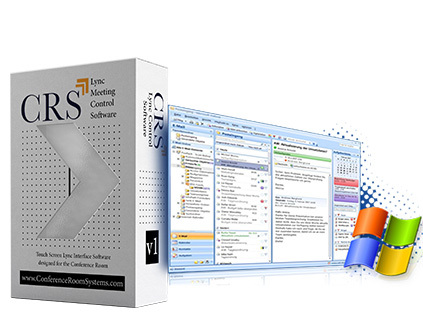 The CRS Lync Meeting Control Software was built to provide elegant control for Lync & MS Exchange plus add much needed features such as support for Google Calendar and 3rd party web conferencing applications like GoToMeeting, WebEX and Zoom.US. Hello A/V & IT Professionals. So I won't go ranting and raving about our new software in this blog post (or any other). 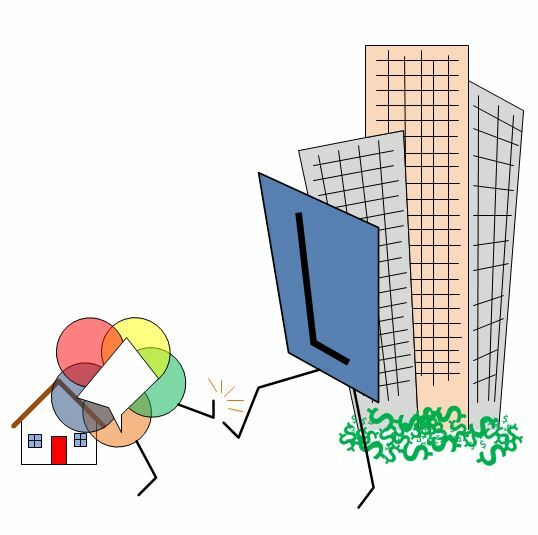 But I will let our detailed SlideShare & Video provide the latest updates on this exciting new software that integrates MS Lync, Exchange, Google Calendars, Office 365, GoToMeeting, WebEX and Zoom.US right out of the box! This is going to be a game changer! Perfect for anyone who uses Microsoft Lync (Skype for Business) and Office 365 regularly in their conference rooms. This software solves a problem we are passionate about at Conference Room Systems and that is Ease of Use. 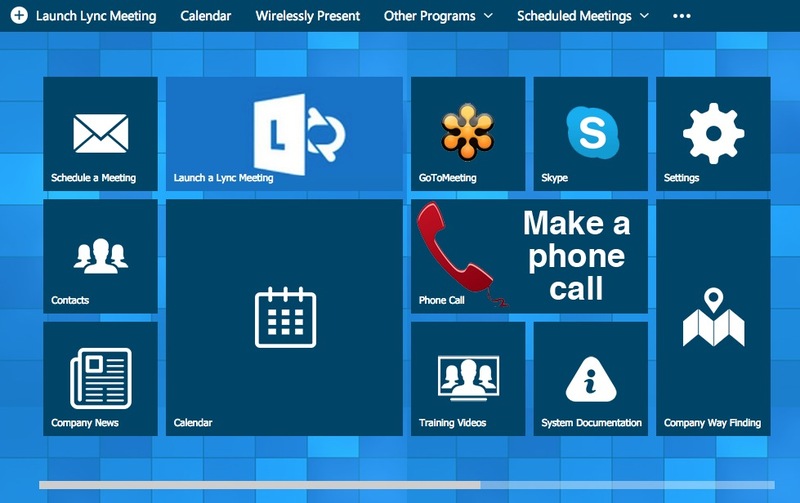 This software joins the native MS Lync experience with 3rd party video conferencing applications and calendar systems like GoToMeeting, WebEX and Google Calendars all into one global screen. After the huge success of our MS Lync Webinar which is still running we are adding a "Ol' Fashion MS Lync Camera Shoot Out" to demonstrate each camera one after the next. The set up is simple. A webinar style video conferencing meetings run by a computer attached to 6 of the top USB Pan Tilt Zoom cameras using a USB 3.0 Hub. Therefore we can provide on the fly USB camera switching in "Shoot Out". This has become a great way to demonstrate the differences side by side concerning: picture quality, field of view and optical zoom capabilities. Anyone who has tried to keep in contact while saving money has needless to say watched, as conferencing solutions have gone from something that kinda-sorta-maybe could be considered a video call to high-quality, interactive discussions. Customizing your MS Lync experience might be easier than you imagine with Windows 7 and 8.1 professional's latest features. Before we begin it's worth noting your MS Lync experience can be "customized" or "locked down" using Windows 7 or 8. But for this blog post we are going to cover customizing MS Lync using Windows 8 or 8.1 professional to get technical. 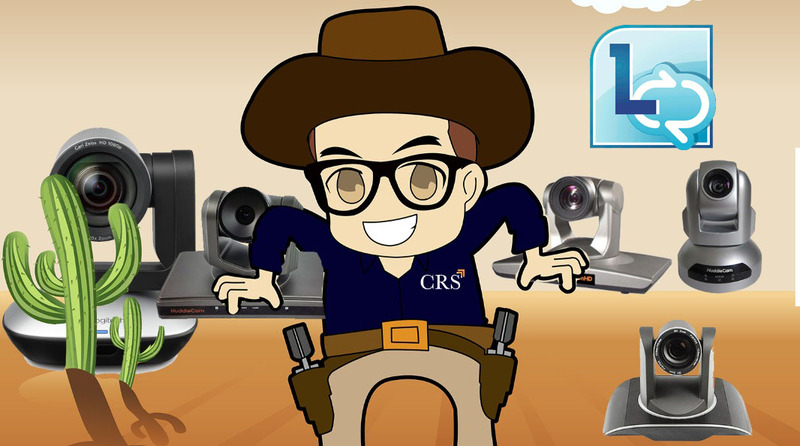 At CRS we believe customizing your Lync experience will enhance the end user experience and make the entire Micrsoft Lync video conferencing experience easier. Also, note we have another post on "Locking Down Windows for MS Lync Here"
MS Lync is quickly becoming a enterprise video conferencing favorite solution for many reasons. The way Microsoft has combine: video conferencing, unified communications and IT infrastructure makes Lync shine above most other platforms. What's more natural than launching a video call in a Microsoft Lync and Office 365 environment? Microsoft has built in high quality video conferencing to it's most core product line: Microsoft Office. 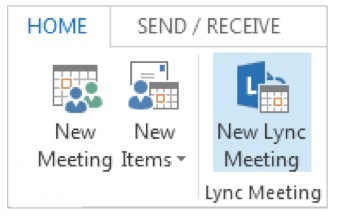 Now that MS Office 365 has moved to the cloud, the natural pairing of MS Lync is a great way to integrate your workflow. Microsoft has considered what matters most: ease of use. By integrating online meetings with unified communications, presence and chat, meeting face-to-face with your team is just a click a way. Haverford Systems goal for 2013 is increasing organizational productivity and sustainability for our customers. Using 100% renewable energy at their Headquarters outside Philadelphia, Haverford Systems is able to practice what they preach. "Increasing organizational productivity by integrating audio visual resources can make meetings up to 10 times more efficient" says Paul Richards, Business Development at Haverford Systems. Educating out clients about effective communication strategies for video/audio conferencing, presentation and communication is our key differentiators in the market. Our latest project involves two enterprise level corporations based in Philadelphia and New York. Their biggest IT problem became connecting the Philadelphia office which uses Cisco Jabber and the New York office which uses Microsoft Lync. Haverford Systems solution was simple Vidtel MeetMe rooms! 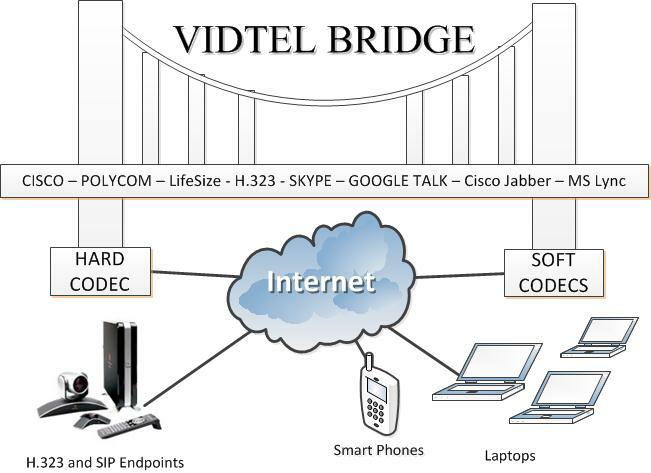 Vidtel allows enterprise level corporations to connect multiple services whether it be cisco jabber, skype, MS Lync or H.323 enpoints all together for seemless audio/video solution.